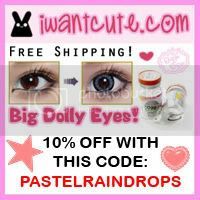 I got them from iwantcute.com and had a very smooth transaction! 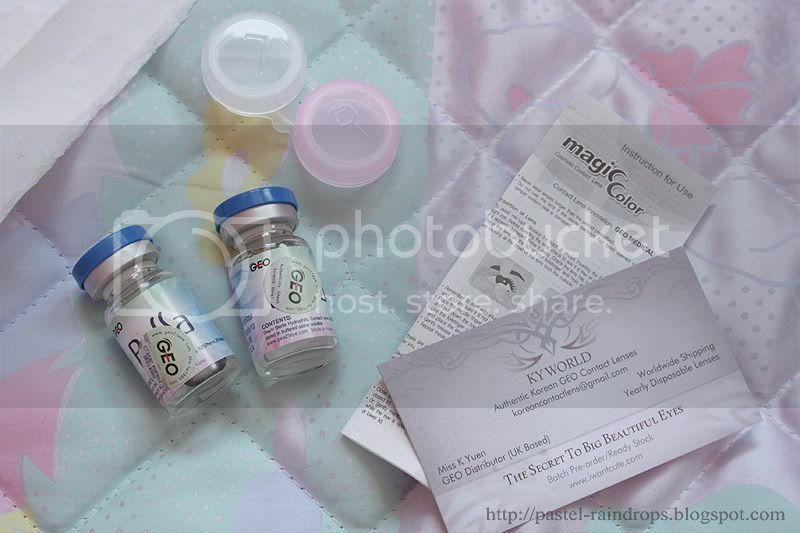 The lenses arrived quickly, very carefully packed and the communication was very, very good! 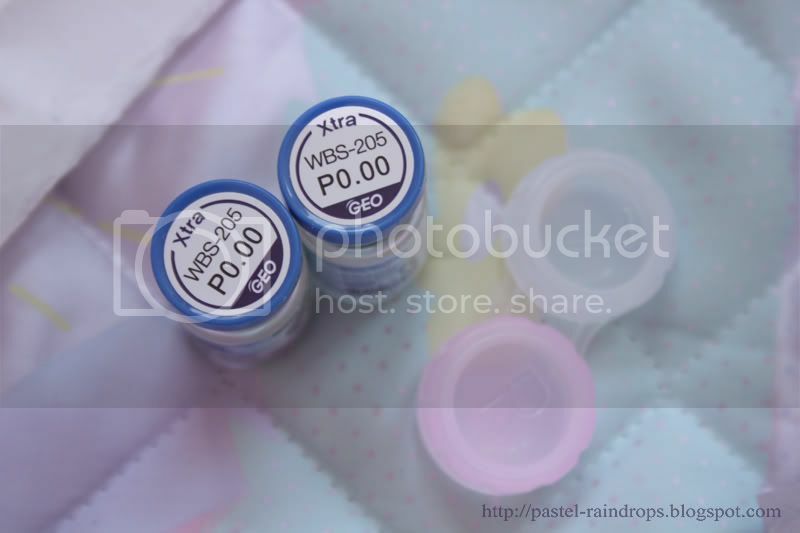 The shop has quite a nice collection of in-stock lenses to chose from and they shop from UK, which is also nice for those located in Europe who don't want to wait long for shipping. The lenses were carefully packed in a second bubble wrapper you can see here. Up close they don't look all too natural, also due to their bold black circle. The grey colour is visible but there's not too much of it. 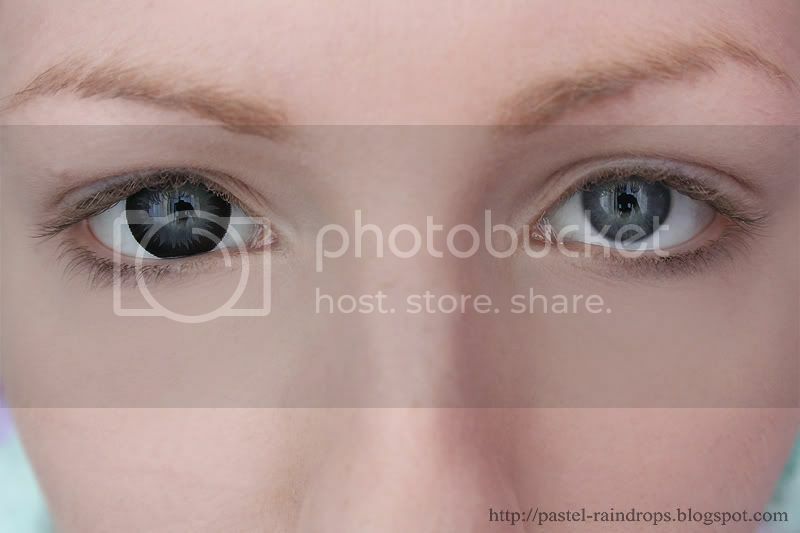 But for myself I really like that because it blends well into my natural eye colour. 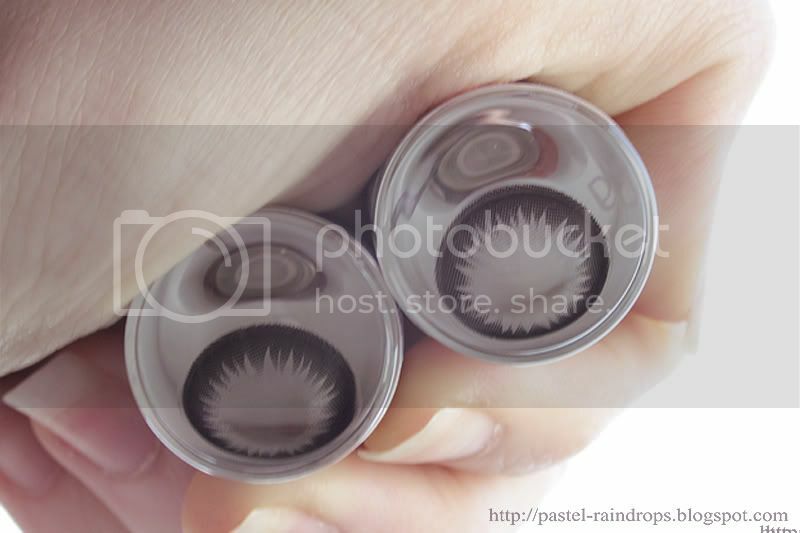 Wearing these lenses was pretty comfortable though I have the feel they're a little sturdier than all the lenses I've had before, which made them a little harder to put in for me. All in all I like these lenses quite a lot. They're probably nothing for daily wear (well, I don't wear lenses every day anyway) but more something for special occasions or anywhere where a slightly artificial look is okay. I also think that I surely will get another pair of grey lenses someday because they seem to work rather well with my eyes. 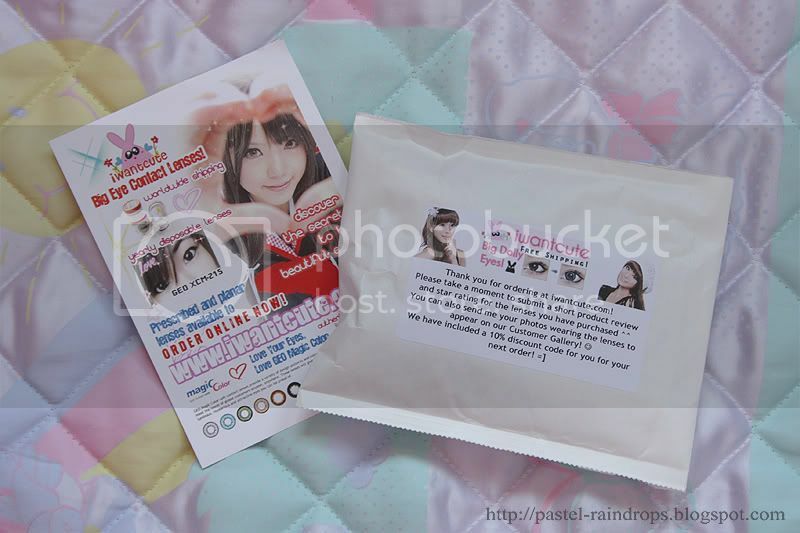 Also, if you're interested in buying lenses from iwantcute.com, there is a code you can use! ich finde zwar, sie passen dir nicht so gut wie die anderen lenses die du hast, aber sie sehen trotzdem super aus! wow beautiful. I will consider of buying it. du solltest jedoch mit deinen fakelashes etwas aufpassen, so wie du sie am rechten auge trägst ist das richtig so, doch am linken siehts einfach sau komisch aus, so hattest du das ja einige post vorher auch schon, vom nahen siehts einfach nur depp aus.. This is really random but did they declare this package as a gift or commercial uses ?? because I think if they didn't declare it as a gift, most countries would have to pay custom duties ?